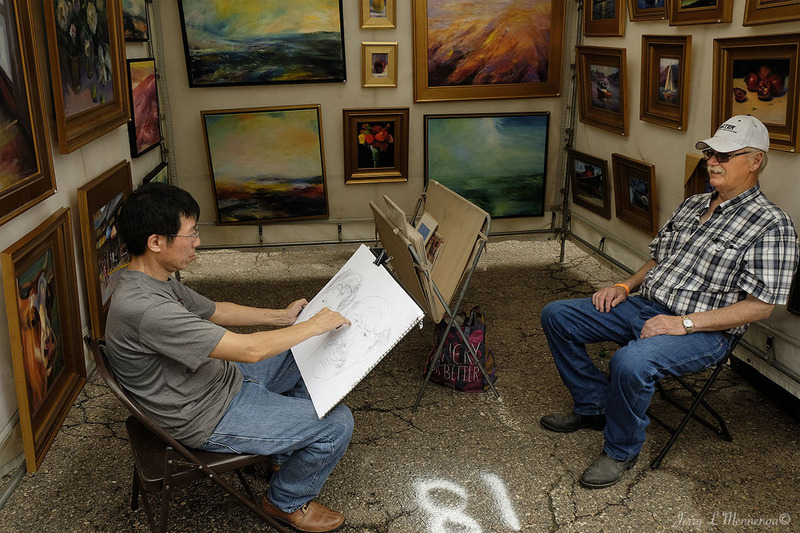 Early September brought Art Splash again to Siouxland at Riverside Park in Sioux City. 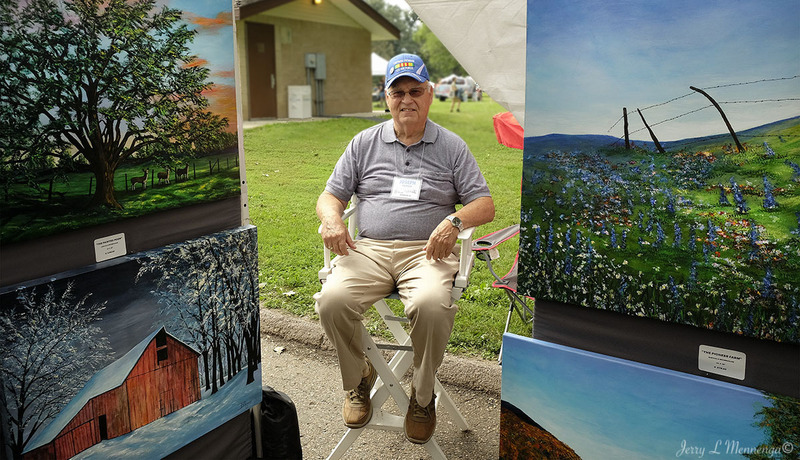 A number of artists that are local, regional and others present their expressions for area residents to view and purchase. 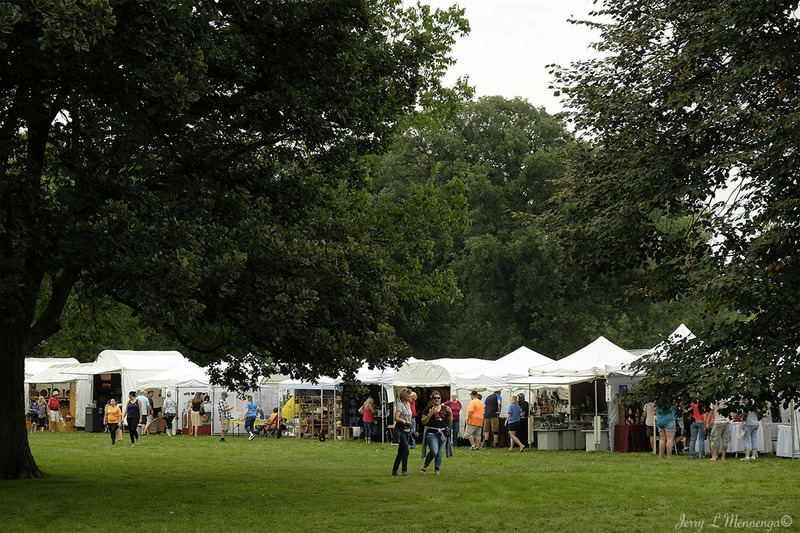 It is a juried exhibition set in a park setting with an entertainment stage. Various musical acts perform and the sound wafts over the park area. It’s fun to attend and for collectors a chance to add more items to their walls or gardens and for others a chance to be inspired by what they see. 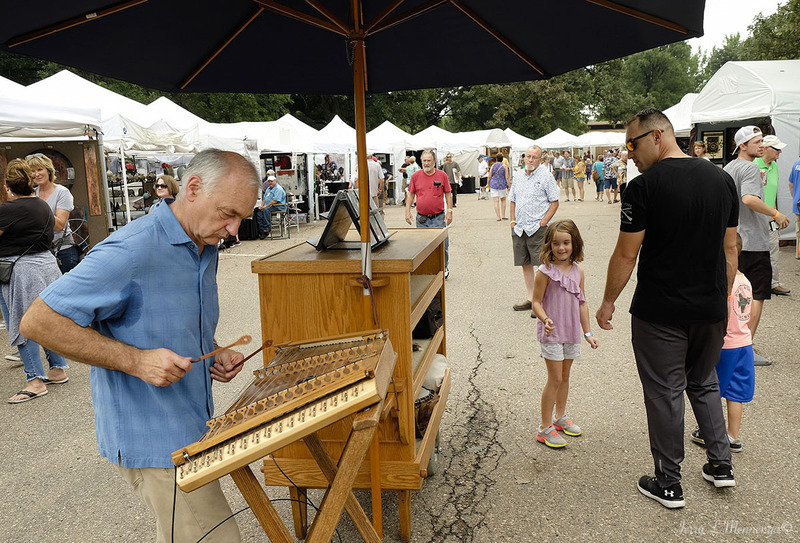 Ceramics, photography, oil and water and pastel paintings, wood working, jewelry, metalurgy, clothing, Art Splash is a plethora of a feast to fill one’s eyes. 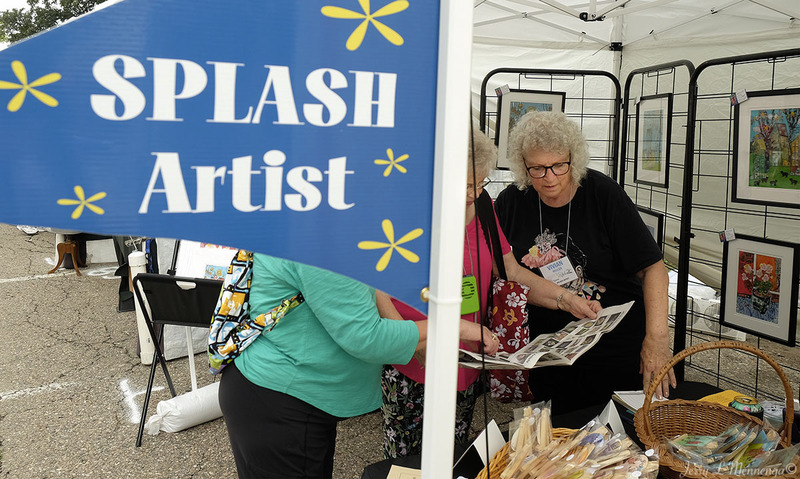 This past weekend the Sioux City, Iowa, Art Center held its annual Art Splash festival which is a yearly event that helps raise money for the center as well as gives artists, locally and across the region, an opportunity to sell work to those attending. 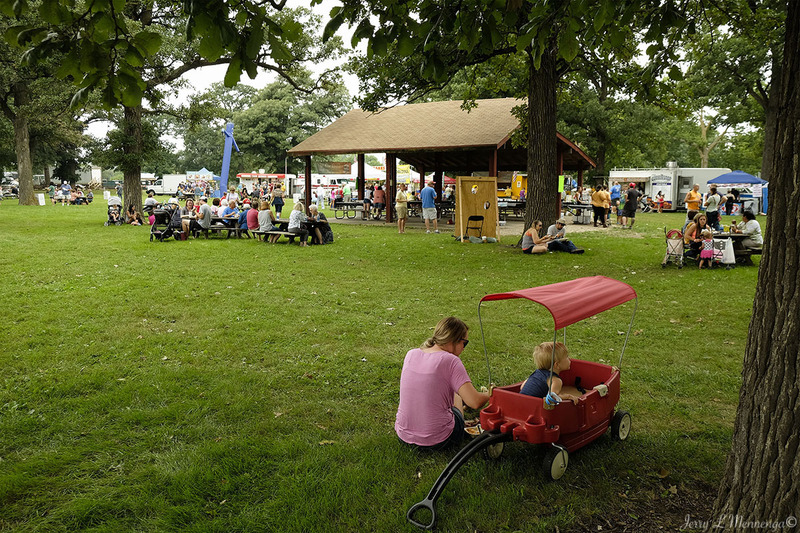 This year marks the second time the event is held at Grandview Park. 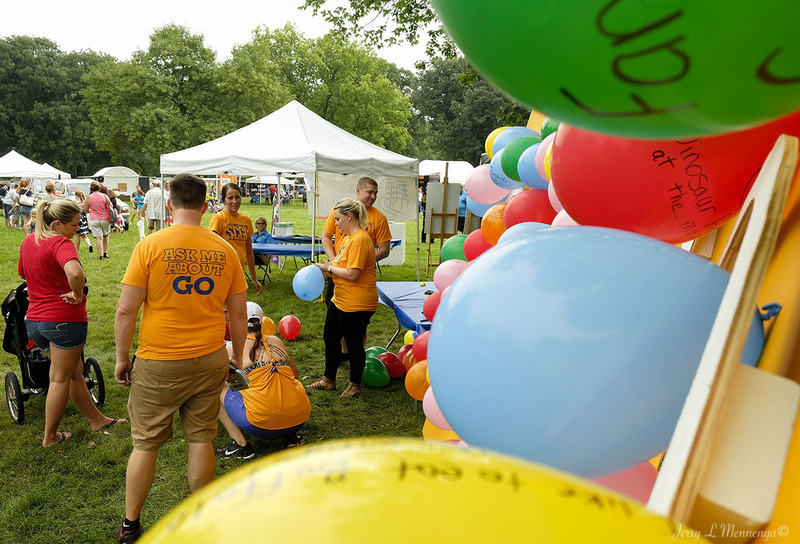 It was moved to that location last year after the Missouri River flooded the Sioux City river front, a location that Art Splash graced for several years. 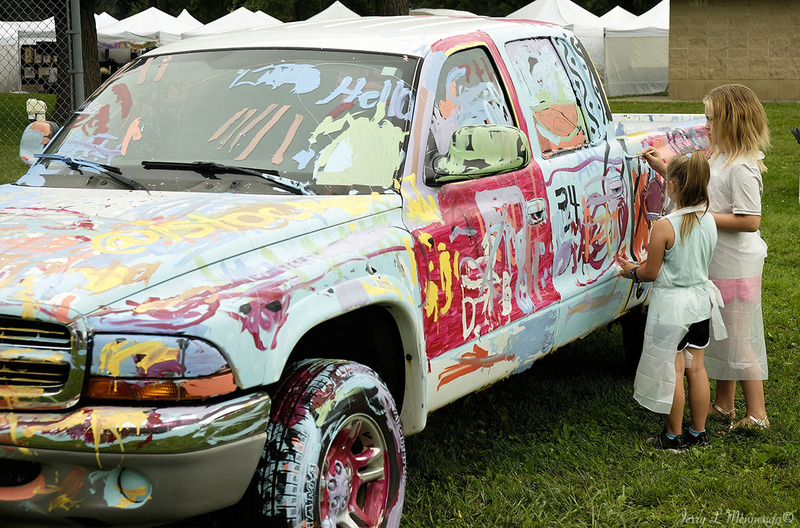 Art Splash gives local art lovers a chance to see a variety of medium, involving various painting genres, sculpture, ceramics, jewelry, wood working, photography, glass, and there are a number of food vendors and activities for children as well as different performance acts that can include music, comedy, skits and audience participation. 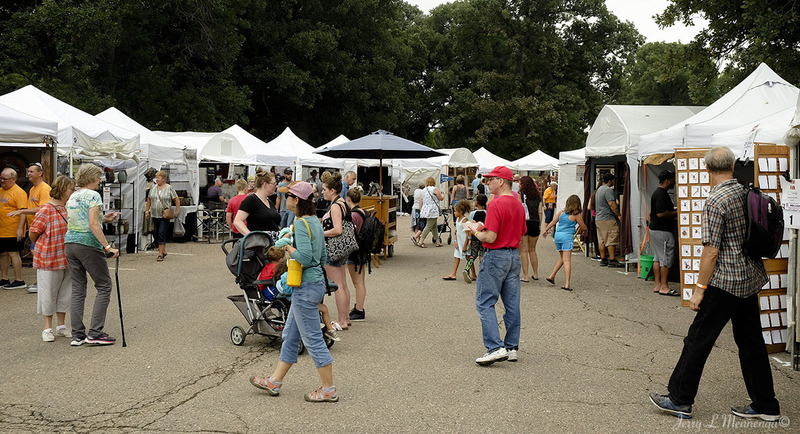 This is a small look at the annual festival and something worth the time and $5.00 entrance fee to spend a few hours forgetting about current events and enjoying the visual beauty that is art. Reprints are available here.